AB 2682, a simple bill to remove physician supervision from nurse-midwives, has been hijacked by the medical lobby. It now has multiple amendments that give physicians decision-making power over women seeking midwifery care. It severely limits access to prenatal and birthing care with midwives, and mandates that birth centers become licensed as specialty clinics without creating a process to do so. 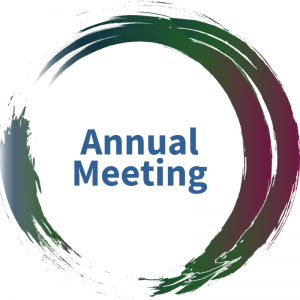 CALM has remained in communication with CNMA and continues to support removing physician supervision from nurse-midwives. However, the bill as it now stands is an unacceptable assault on the rights of California families to make decisions about their birthing care and nothing more than a power grab on the part of the medical lobby to protect its virtual monopoly on maternity care. Please share this message with your clients and ask them to call their State Senator TODAY. Access to midwifery and birth centers is under threat! A simple bill designed to improve access to midwifery care is now under threat. The medical lobby has introduced multiple amendments that will limit access to midwives and birthing centers. We need your help! 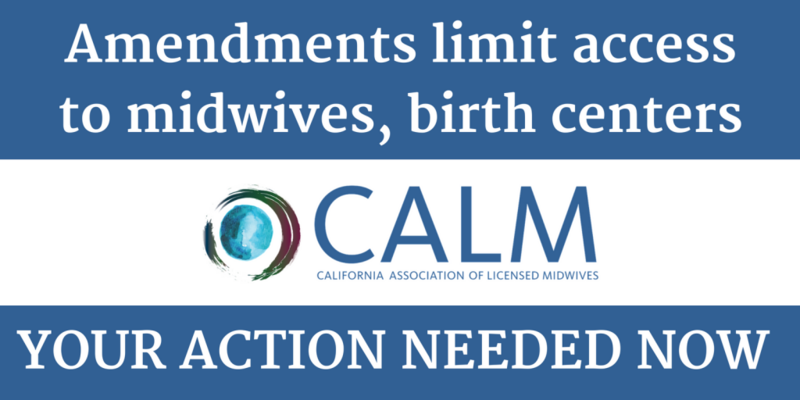 AB 2682 was written to remove the physician supervision requirement from nurse-midwives. But multiple last-minute amendments were added in the Assembly. These will severely restrict the autonomy and birth choices of families by giving physicians the power to decide who can and cannot receive care from a midwife. Just yesterday even more amendments were added. The additional amendments will impose unnecessary and burdensome regulations on birth centers, forcing them to become licensed as specialty clinics without creating a pathway to do so. The amended bill passed out of the Assembly last week by a unanimous vote and is now fast-tracked in the Senate to become law. Call your State Senator (find yours here) and ask them to vote NO on AB 2682, the nurse-midwife bill that will deny birthing families access to midwives and birth center care. 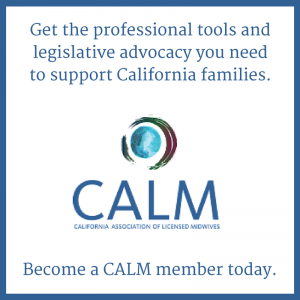 2) if you live in State Senate Districts 13, 5, 6, 7, 16, 21, 22, or 29, please contact CALM at president@calmidwives.org or 650-924-2711 if you would be willing to join in a visit with your State Senator. Personal visits with legislators are THE most effective way for average citizens to have their voices heard! CALM will connect you with a midwife or midwifery advocate to help with talking points and accompany you on a visit in your Senator’s Sacramento or in-district office. Please note: it is ESPECIALLY important for folks living in these districts to call their Senators because they are members of the Business, Professions, and Economic Development Committee who will take the first vote on AB 2682. The most troubling amendment to AB 2682, 2746.5(3)(f), completely eliminates the rights of midwifery clients with any and all variations of the undefined standard of a “normal” pregnancy to informed consent and forces them into physician care, even if they refuse. The above quoted section violates ACOG’s own ethical recommendations on informed consent and on the right of a pregnant patient to refuse medical care. Amending California’s birth center statute is a solution in search of a problem. In fact, CALM’s attorney has been working closely with the California Department of Public Health (CDPH) to properly implement existing licensing requirements for birth centers. Under current law, birth centers can be licensed in one of two ways–as a primary care clinic or as a specialty care clinic. Until now, CDPH has limited licensing to primary care clinics, which requires them to operate as a non-profit, a requirement that does not fit the needs of all birth centers. CALM’s attorney and CDPH are working together to start processing licenses for birth centers seeking to operate as specialty care clinics, which will also allow them to serve clients insured through Medi-Cal. So CALM is already taking proactive steps that will expand access to maternity care throughout the state, particularly in underserved communities. Legislation is entirely unnecessary and will undermine these efforts. Also, under California law licensed healthcare providers can provide care in a variety of settings without having to license each setting in which they practice. This is the case, for example, for physicians and dentists who provide in-office care or for cosmetic surgeons that practice in freestanding surgical centers. Creating a new licensing mandate that singles out birth centers is not only unnecessary but it would generate enormous costs to CDPH for no good reason and will have a disproportionate impact on small, woman-owned birth centers across the state. The full text of AB 2682 can be found here. The real intent behind the medical lobby’s efforts to limit access to out-of-hospital midwifery care in all settings, for all midwives is that it represents a direct threat to their virtual monopoly over maternity care in our state. We need to stop the medical lobby’s power grab now and send a strong message to our elected officials that we will not stand for more assaults on birthing rights in the state of California. CALM 2019. All Rights Reserved.